The number of green businesses in this country is growing every year. There are a couple of factors that are playing a role in the trend. Many entrepreneurs are genuinely concerned about preserving the environment. Others are trying to capitalize off of the growing number of customers that are serious about sustainability. According to recent polls, 66% of customers prioritize working with green businesses. Millennials are more likely to support green businesses, even if it means paying a premium for products and services. Despite the obvious appeal of operating a green business, following through is challenging. 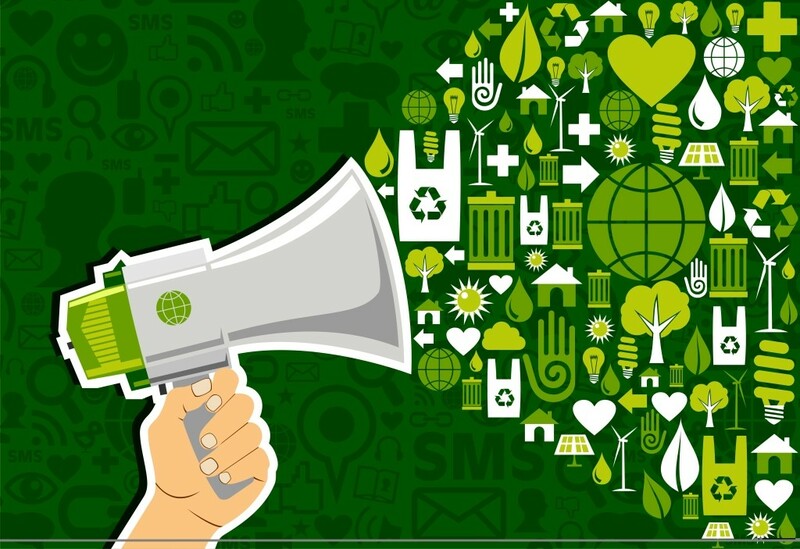 One of the most difficult aspects of running a green company is knowing how to consistently run a marketing campaign that aligns with their goals of sustainability. It makes a lot more sense to work with local companies. They don’t need to deliver products nearly as far. This minimizes their emissions. Try to keep this in mind while you develop your supply chain model. This is particularly true with companies in the food service industry, because the average vendor drives 4000 to 5000 miles to transport goods to their customers. This means that by purchasing from local vendors within a 100 mile radius, you can decrease the carbon footprint by transporting your supplies by 97.5%. Online marketing is usually assumed to be much more sustainable than print marketing. However, it actually leaves a much larger carbon footprint than most people expect. According to this infographic from ClimateCare, of the 75 million online servers in the world, over 90% of them are powered by fossil fuels. This is unlikely to change in the near future. What does this mean for businesses focused on sustainability? It shows that operating a digital marketing strategy is not nearly as green as they think. The good news is that there are a number of ways that you can minimize your online carbon footprint while reaching customers. One of the best strategies is to limit the need for customers to find your business through search engines. Every time that somebody searches for something on Google, seven or eight servers are needed to complete the query. This means that Google is one of the most environmentally inefficient online services. Obviously, it is still very necessary, but there are ways that you can reach customers without it. This will lower their carbon footprint while they are working with you. One of the best ways is to make sure that your own site has an internal search engine that can adequately serve the people that visit. Your own internal search engine will leave a much smaller carbon footprint than Google or Bing, since it will only need a fraction of a server. You will also want to share as much information as you can through Instagram and other digital marketing channels. When customers find information on your company on these platforms, they are less likely to need to search for it on Google. There are a number of ways that you can increase your Instagram presence to reach more customers. A case study from Forever21 shows that Instagram can be one of the best alternatives to Google for marketers in the fashion industry. The history of business cards can be traced back to at least the 17th century. They have been very effective way to forge relationships with other professionals. The designs of business cards have evolved over time, but the technology has changed the most over the past decade than yet has any other time in history. You could stand out from the crowd with a great image from J Knowles on the digital card which will ensure you’re remembered by whoever you trade cards with. A growing number of companies are investing in digital business cards. They can easily exchange them with apps such as card cruncher.